You can absolutely wear your favourite matte lipstick on dry, flaky lips, and no, we haven’t lost it. We are aware that chapped lips crease out the lip colour and a matte texture may dry your lips further, but hey, that doesn’t mean you have to give up on matte lip colours (god, no!). There a way out for dressing flaky lips in matte lipsticks without drying them out. First and foremost, scrub your lips with a mild exfoliator to buff off all the flakiness. It would help nourish your lips and give you a smooth texture. Use a small amount of any scrub or DIY a lip scrub mixing one tablespoon each of brown sugar and coconut oil and rub it onto your lips until they are soft and supple. Wash your lips and pat dry. Before wearing the matte texture, it’s important to hydrate the lips first with a moisturising lip balm. 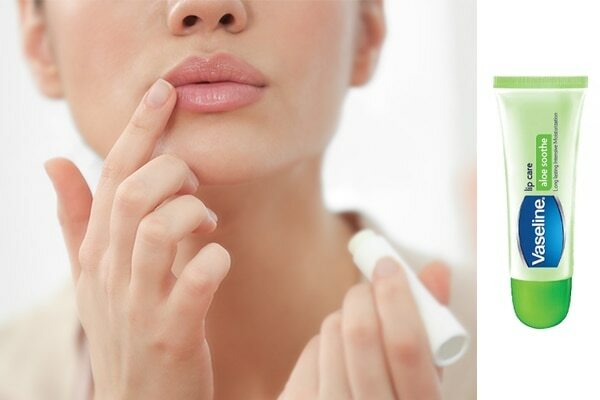 Prep your lips with Vaseline Aloe Soothe Lip Care. It is packed with aloe extract, is non-pigmented and locks in moisture, giving you smooth lips all day. To make sure your matte lipstick doesn’t dry out your lips any further, pick a nourishing matte lipstick that glides on perfectly and sits comfortably on your lips. 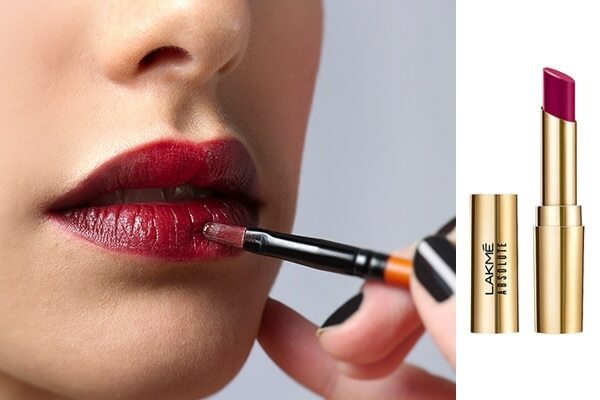 Line your lips and apply Lakmé Absolute Matte Ultimate Lip Color With Argan Oil using a lip brush for smooth application. This lipstick is infused with the goodness of argan oil that nourishes your lips instead of drying them out and is super pigmented so it gives you intense colour texture and doesn’t crease out.